Telephonic communication was introduced into Australia in 1878, just two years after its invention by Alexander Graham Bell. The first telephone exchange was a private concern installed at the Stock Exchange building, Bridge Street, Sydney, in 1881. In the following year its control and management became the responsibility of the Government of the day. With the advent of the telephone the administrators of the Police Department, ever vigilant in effecting new improvements, particularly in the field of communications, installed a telephone system within the Police Department. About 1886 the initial Police Telephone Exchange was located at Central Police Station, which at the time occupied the present site of the Queen Victoria Buildings. 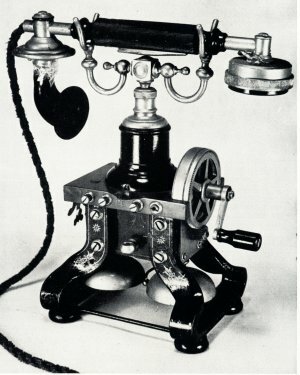 From this exchange telephone communication could be made to the various inner city stations. In the early years the Police Department owned the telephonic equipment in use, but paid a maintenance and service fee to the Sydney Government Telephone Exchange. In 1902 the Police Telephone system was taken over by the Post Master General’s Department. In the year 1892 Central Police Court and Central Police Station was moved from the Queen Victoria Building site to Central Street and the telephone centre carried on activities from these premises until 1911, when the entire exchange was moved to Police Headquarters at the intersection of Hunter and Phillip Streets, Sydney. 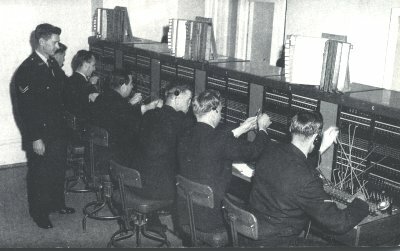 During this transition the old telephone instruments were replaced with hand sets and a new switchboard was connected. The “Metallic Circuit” device had just been introduced by G.P.O. technicians, which involved the use of two wires, as against one previously, an innovation which considerably reduced outside interference. In 1933 there were 10 incoming exchange lines and 58 extensions which required five telephone operators, providing a full 24 hour service. The dial sign was B6941. The dial code number B030 was allocated to the Police Department in 1934, primarily because it was a number that the general public could remember easily in an emergency and in the absence of a telephone directory. The installation of telephones to country stations progressed steadily from 1913, and succeeding years saw more country stations linked by telephone. By 1928 all Police Stations in the State were in communication with country telephone exchanges. The most important change in Police telephone communications was effected in June, 1959, when Commissioner of Police, Mr. C. J. Delaney, after a detailed examination of the latest communication methods overseas established the 2222 emergency dial service. The number was specially chosen for ease of remembrance and dialing facility, even in a darkened telephone booth. From its inauguration the service operated quite effectively and during occasions of grave emergencies and in effecting the apprehension of several dangerous felons. The Police Telephone Exchange was staffed by 22 trained Police Telephone operators who maintained an efficient and vital link in the communications spheres of Police activities. In the year 1924 the use of wireless as a communication medium was successfully launched within the New South Wales Police Department, just two years after the formation in London of the renowned British Broadcasting Corporation. The former Metropolitan Superintendent, Mr. Walter E. Salmon, was one of the Police pioneers who introduced the great Marconi invention into Police activities as a revolutionary aid to improved internal communications and increased departmental efficiency. At the commencement of activities Police manned motor vehicles equipped with wireless. These vehicles were vintage model tourers, noisy, open, and draughty, and the wireless equipment consisted of a radio set capable of receiving Morse code messages. Two years later Morse code transmitters were installed, sedans replaced the tourers, and technical progress reduced the size and increased the efficiency of the mobile wireless equipment. Initially, all wireless apparatus was rented or leased from Amalgamated Wireless of Australia Limited, and the inaugural transmissions were made from their transmission centre at Willoughby. The identification sign allocated to the Police Department by the Post Master General’s Department, was Station ‘2PD’. 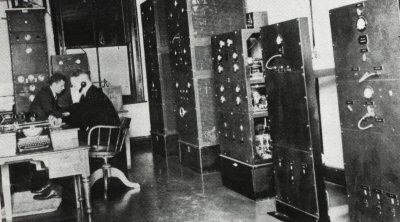 Through the efforts and enterprise of the early Police radio engineers, a base Police Wireless Station known as ‘VKG’ was established in 1927. 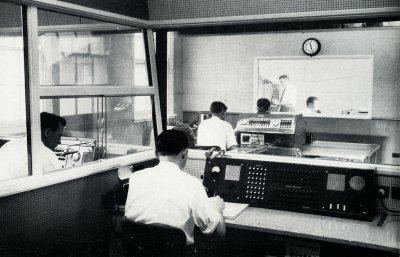 The location of the main transmitter was at Pennant Hills, and a remote control system was installed at the B030 Telephone Exchange at Police Headquarters. The section functioned at Police Headquarters until 1930, when it was transferred to the Police Training Centre, Redfern. The year 1937 ushered in the change-over from Morse code transmission to radio telephony. At the beginning vehicles were fitted with receivers only, excluding the four wireless area cars manned by Detectives and a Morse code operator. Morse code sets for transmission purposes were retained in these cars. Police technicians continued their research and development planning, and finally evolved a method whereby ‘reply-back’ telephony, a system using very high frequencies was possible. Equipment was then assembled which subsequently passed all mobile tests, and the system became effective in the same year. It was a noteworthy and proud achievement. With the advent of ‘reply-back’ telephony a new Police Wireless Station was erected at Newcastle, known as Station ‘VKG 3’. New techniques continued to evolve in the field of radio through the years and in 1957 the method of transmission from the base station at Sydney, to its various mobile units, was changed from amplitude to frequency modulation. This new system of radio transmission eliminated weaknesses found in the old system of ignition, and also atmospheric interferences. Wireless communication between Sydney and Melbourne Police was established in 1942, followed by Brisbane, Adelaide, Perth and Hobart. In 1962 great radio development had taken place in all Commonwealth States, and the Police network of radio stations, Australia wide, then totaled 97. A survey was taken which revealed that over 50,000 per annum were passing through the Sydney base station. It was found that the increasing volume of interstate and country wireless messages were now creating a major problem, and it became imperative that some new method be devised to relieve the burden of message transmission, and reception, in the metropolitan area. In 1960 this difficulty was solved by the installation of teleprinters operating between Police Wireless Station ‘VKG’, and the Criminal Investigation Branch, the Central Fingerprint Bureau of Australia, Police Headquarters, and the four major city divisions. These electrical-mechanical devices were capable of distributing messages at a speed of 65 words per minute – a most helpful adjunct to the Communications Centre. In 1962 the New South Wales Police Department had a capital outlay on equipment, both radio and service, of approximately 100,000 pounds. Each item of equipment was examined in sample, prototype, production, or specified form, prior to purchase. The equipment had to fulfil strict specifications because it was expected to function efficiently in all weather conditions, climatic changes, and altitudinous terrain, on a continuous 24 hour basis. Since those early days, the Police Communication System has grown and developed to become world class. New technological advancements in digital radio, mobile data terminals, computer based equipment and of course the Intranet and Internet are allowing us to improve our service and prepare for the challenges of tomorrow.